The Mexican Bird of Paradise, is a lush, desert plant with yellow flower spikes. 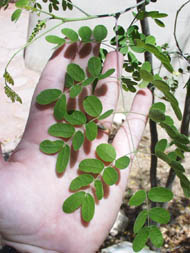 The leaves are dark green rounded leaflets, which contrast with the bright yellow flower spikes that appear on the branch tips during the warm season. The Mexican bird is a fast grower and can get to 10-15 feet tall and spreads to 8-10 feet wide. 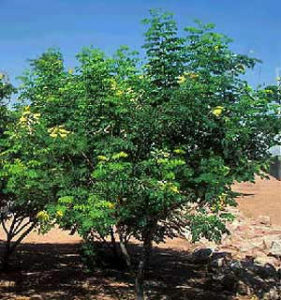 It can be grown as a small tree or pruned to keep it a shrub. This is a great winter option for color in the Arizona desert and it is a desert plant or xeriscape plant so it doesn’t require much water. It takes full sun and flowers from spring to fall. It has moderate litter and has no thorns. It attracts Hummingbirds and other birds and it is not allergenic.